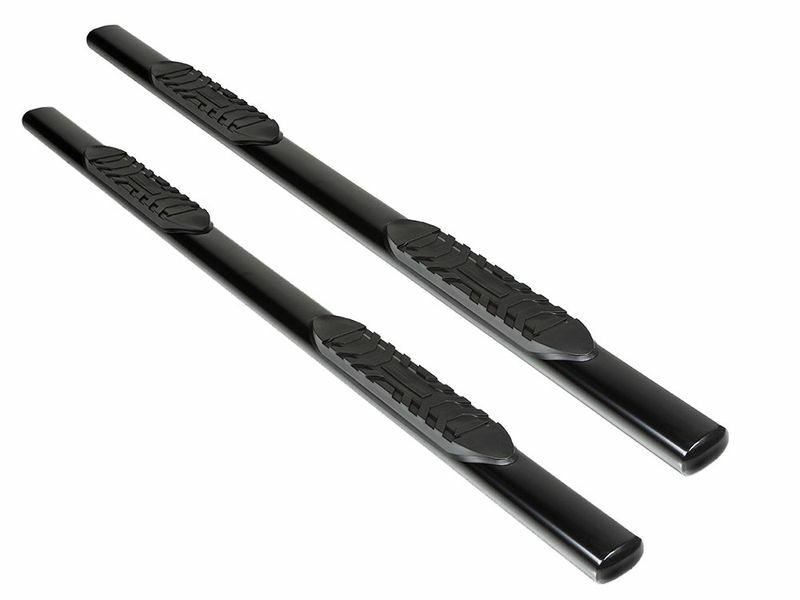 Step into your truck with a set of Ionic 5" black nerf bars. 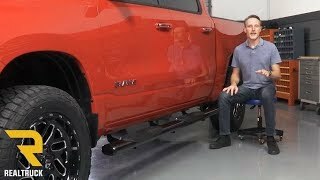 Ionic nerf bars are made to fit your specific truck and run along the length of your cab. Allow you and your passengers to safely enter and exit your vehicle at all times. Ionic 5" nerf bars are constructed from 5" oval steel tubing and feature a molded plastic step pad at each door. Ionic black nerf bars are finished in a gloss black powder coat that will stand up to the elements. Give your truck a new look and access your truck with ease with a set of Ionic 5" black nerf bars. Get yours today! Install your Ionic 5” black nerf barfs yourself in under an hour. There is no drilling on most applications.